More grip, more power, max your Mini fun! We offer a wide range of performance upgrades whether it’s cosmetic accessories or power upgrades, with over 15 years of performance upgrade experience, we can not only fit but also advise where requested on the best options depending on your personal goals for your Mini. We have many suppliers for performance and aerodynamic parts where we can get preferential rates and the latest stock straight to our workshop. A fitting service is available for all these parts so if you require a more free flowing exhaust, a body kit or perhaps a larger super charger then get in touch on 01525 220054. We will be adding an online shop for you to purchase stock and get it delivered straight to your door. 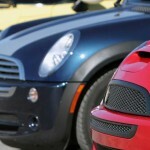 We aim to give you the best prices, service and advice to take your Mini experience to the Max.